Yamaha has announced three new models for 2014. 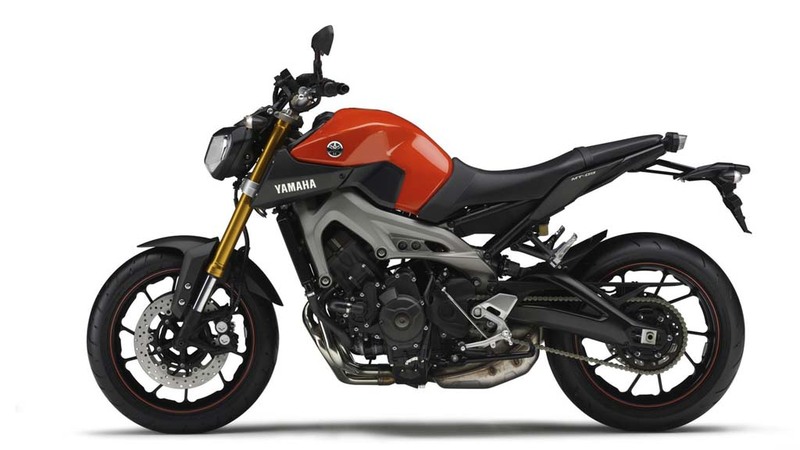 Besides the new YZ450F and YZ250F they will be launching the exiting new MT-09. A 850cc naked bike to take over the streets with. 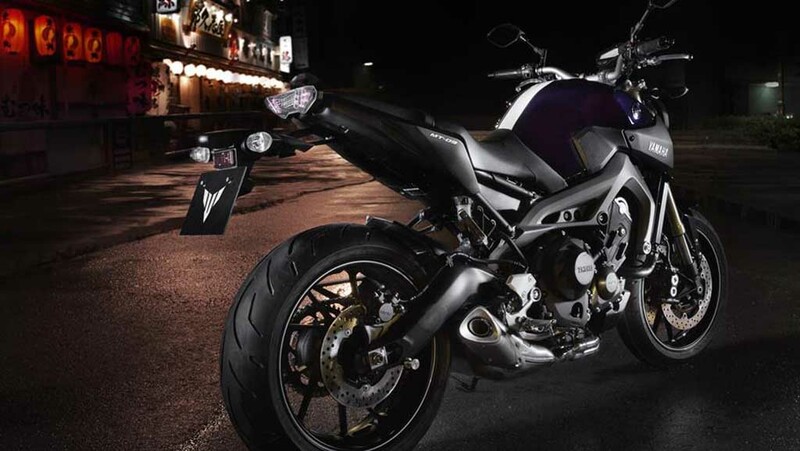 The Yamaha MT-09 is a whole new concept from Yamaha. With a compact new chassis and high-torque 3-cylinder engine, this new machine is designed for riders who appreciate character and soul. The beating heart of this bike is a lightweight 850cc 3-cylinder engine that kicks out a wide band of raw, linear torque giving great acceleration. And for agile handling this motard-style bike is equipped with a compact aluminium chassis and upright riding position that make light work of everything – from weekday urban riding through to Sunday morning blasts. 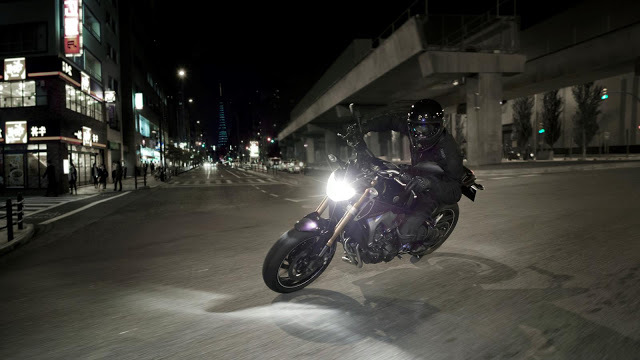 Yamaha says that the goal with MT-09 was “to create a new kind of sport bike with three key elements that would set it apart from other models. First of all we wanted a new kind of engine developing strong and exciting torque. The chassis had to be compact and slim. 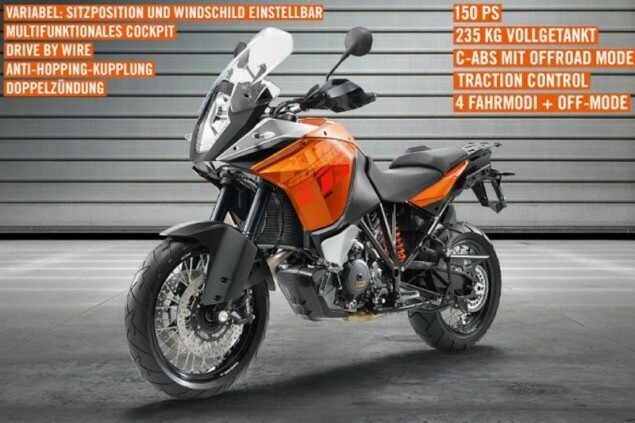 And this next generation sport bike would need a unique character that would make every ride special”. 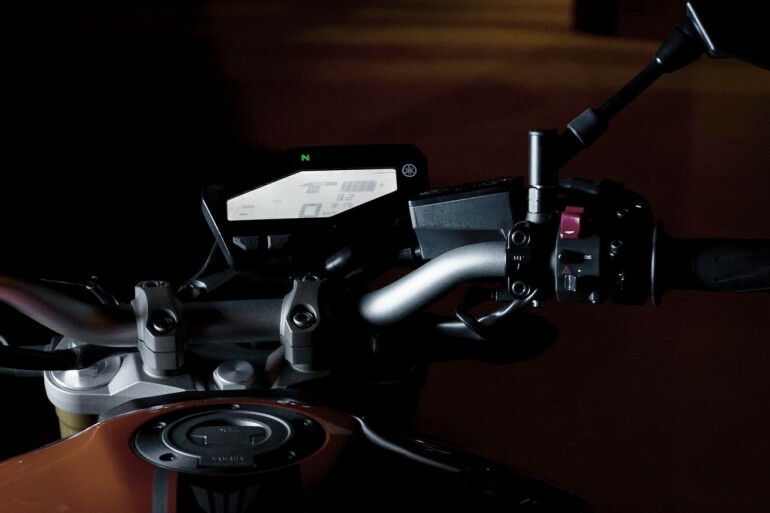 To keep the MT-09 as light, slim and compact as possible, the designers have developed an all-new CF aluminium die-cast frame. 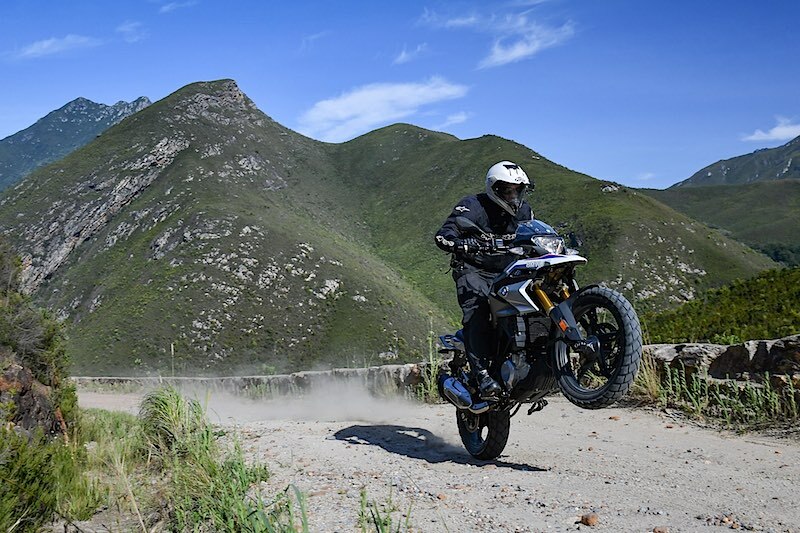 Its low weight and rigidity balance contribute towards the bike’s agile handling performance, and help to keep the overall wet weight down to just 188kg. The rear end features a lightweight asymmetric CF die-cast swingarm that gives a low unsprung weight for responsive suspension action and a comfortable ride. 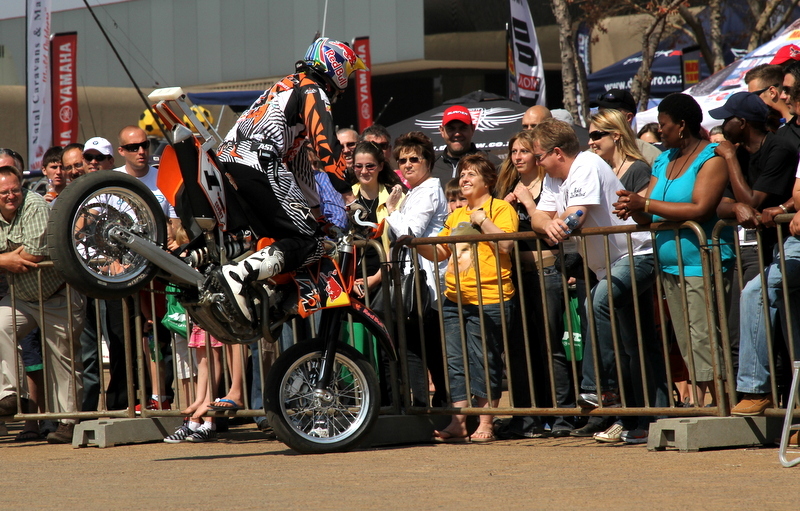 An almost horizontal rear shock is situated beneath the seat, and the externally mounted swingarm pivots keep the chassis slim for a compact riding position. The new MT-09 is designed to handle a variety of roles, from sport riding through to weekend trips and the daily ride to work. Wide, tapered handlebars and a long, flat seat give stress-free ergonomics – and the sculpted 14-litre fuel tank with knee recesses ensures a comfortable ‘slim-fit’ riding position. Equipped with connecting pipes for a good pulse effect, the compact 3-into-1 exhaust system contributes towards mass-centralisation for agile handling. Featuring a corrosion-proof Nanofilm coating, the three stainless steel downpipes run into a short and compact EU3-compliant muffler which emits a throaty note. You will have the choice of four colours; Deep Armor, Blazing Orange, Matt Grey and Race Blue. 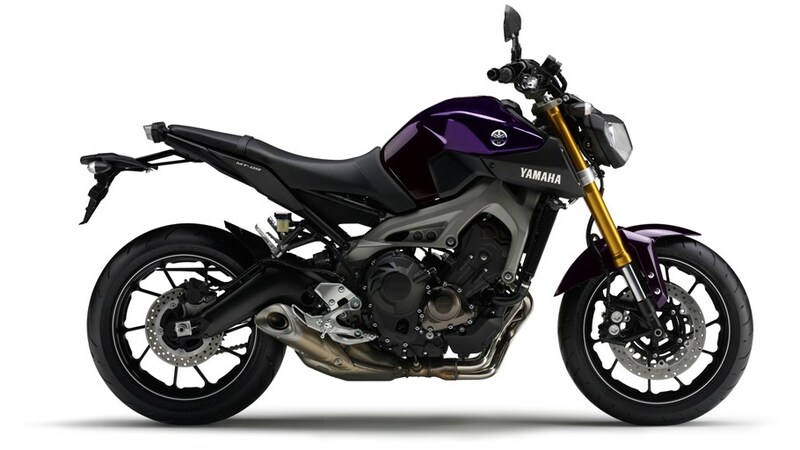 Yamaha South Africa is still unsure when these bike will arrive in the country or what the price will be.